Cigar City cans now? 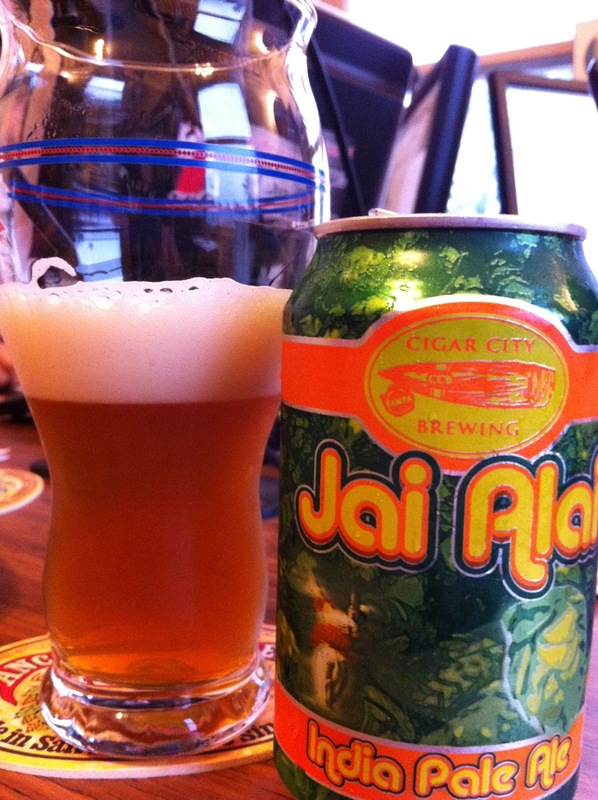 The Jai Alai and the Maduro Brown I imagine? I've had some really good beers from them. Loved the Guava Grove. Had Marshall Zhukov's last year. Was a little underwhelmed by that one, but I think some of that just had to do with my sky high expectations. I think so, this is the first time I've been in Tampa since this summer, but I've only seen cans. I also really liked Guava Groove. SN is a great brewery for any kind of hoppy beer, but their other stuff is just OK in my opinion. They do hops extremely well. If you see it, try the their new Narwhal Imperial Stout. I'm having my first as I type this and it's excellent, really strong and will probably age well. I just got a hold of a Bourbon County Coffee. Will drink it soon. Just got an RM beer box. Has three Alaskan brews in! I'm leaving two to sit for a while, definitely thought it was a nice surprise to find at the shop. I don't think I will ever buy Brooklyn's Chocolate Stout ever again though. Also leaving two Bourbon Counties to sit for a while FWIW. Last night I had Magic Hat's Heart of Darkness and a Boulevard Sixth Glass. The Heart of Darkness was a solid beer, but the Sixth Glass was outstanding! Had the first of my Orpheus exchange beers last night, the Alaskan Winter Ale. Really, really good. The spruce tips gave it more of a harvest-y ale taste. Great winter beer for sure. I've wanted to try this one since i read about it. Good to see that it's good. Had this stuff for the first time yesterday. It's amazing! So this thing went really well. We had 5 guys that each did a blind tasting. The glasses were opaque so you couldn't detect color, and were room temperature. Three of us (myself included) voted Pliney #1, while two had Zombie Dust #1. Everyone with the exception of me voted New Glarus IIPA #3 (I had it #2 -- the tasting for the rest may have been influenced by the fact that I tasted first and the New Glarus was extremely cold -- when it warms, the taste changes a little, and it becomes a very "Belgiany" style ale). Nevertheless, it was fun. And as a present, I got a case of Pliney brewed in November that I'll probably have finished by next week. Good times. Is it time to break open my Stone 04.04.04 yet? I've also held onto the 09-12! I'm pretty excited. Picked up a Victory Baltic Porter tonight and was able to score a six pack of Sweetwater IPA. For being so close to Atlanta, that stuff is hard to find around here. I have it on good authority that the Victory Yakima Glory is in and an RM user already has some. That's some good stuff.